The 2018 Orange County International Auto Show was a blast by all standards for the iDriveSoCal Team. And our very own Professor, Clinton Quan, dove deep into the automotive wonderland to determine what would compose his carefully crafted best of show list. After careful calculations, a great deal of cross-referencing manufacturers specifications, and independent third, fourth and fifth party participation the Professor was ready to share his findings. 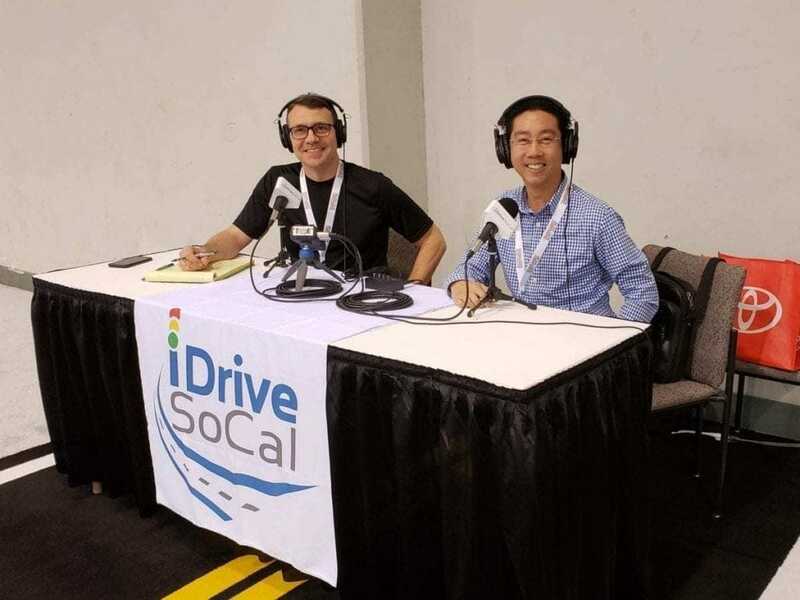 Only in this iDriveSoCal Podcast will you hear the good Professor’s best of show details… well, you could also read the transcript below… but listening is so much more fun – we were podcasting from the show floor! Click play below and enjoy the pics while you listen. Clinton Quan: This auto show is one of the very first auto shows in the country for the auto show season. There are about 600 vehicles, it is the eighth largest auto show in the country and this is a preview of the 2019 automobiles… in total there’s 150 vehicles. Tom Smith: 150 vehicles that you can test drive? Clinton Quan: There are a number of exotics that you’ll see Lamborghini, Ferraris, Aston Martins. There’s the new Vantage, there’s three DB11s and there’s a Bugatti. 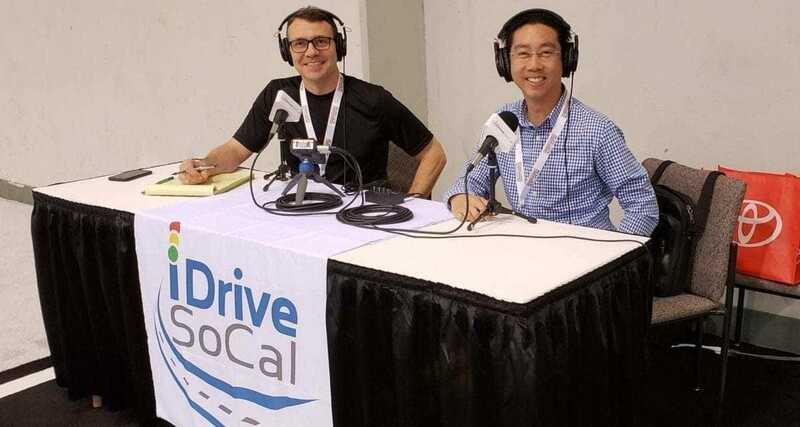 Tom Smith: Welcome to iDriveSoCal the podcast all about mobility from the automotive capital of the United States, Southern California. Tom Smith here with the good Professor, Mr. Clinton Quan say hello Clinton. Tom Smith: Hello. We are, as you can hear by the background noise, at the Orange County International Auto show. Last day of the event. The Professor has scoured top to bottom, side to side, north to south, east to west, every nook and cranny of the auto show I believe. Tom Smith: Yes. Many test drives. What did we test drive. We test drove the RDX, the Acura RDX, the Mazda CX-9, the Jaguar F-TYPE R, the Mazda Miata RF, the Audi I-PACE. Clinton Quan: No, the Jaguar I-PACE. Tom Smith: I’m sorry the Jaguar I-PACE. Excuse me. Clinton Quan: Yeah that’s quite a few vehicles. Tom Smith: That was, that was it right? Tom Smith: Five test drives. Tom Smith: I’ve been manning the fort of course. Have test driven all of zero. But that’s okay. We all have our roles to play in life right? Tom Smith: And our roles to play on iDriveSoCal. You get to have the fun I get to do the work. Clinton Quan: I get to do all the fun stuff. Tom Smith: That’s right. It’s a good deal for you. It works out very well for you. Tom Smith: No. Always appreciate it. 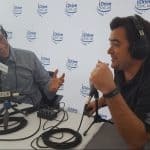 So, this podcast is kind of an overview of the Orange County International Auto Show, which is done in partnership with Motor Trend. And we’re on the tail end here. We started Thursday at media day. My voice is getting a little crackly. It’s been a long weekend here. Sunday we are podcasting. So, however many days it is, Thursday Friday. It’s four days. Included in the overview we’re going to identify the good Professor‘s top five vehicles here at the Orange County International Auto Show. So, first off why don’t we just kinda big picture summarize the event. I know you’ve spent a lot of time here. I’ve spent a lot of time here. But like I said, my time has been spent pretty much in one location. You’ve gotten out and about. What do you think? Let the Auto Show Season Begin! Clinton Quan: Well this auto show is one of the very first auto shows in the country for the auto show season. Tom Smith: For the show season yeah. Clinton Quan: There’s about 600 vehicles if I remember correctly at the show. Tom Smith: Yep, yep, over 600. Clinton Quan: And I think they on the website it says it is the eighth largest auto show in the country. Tom Smith: It is. It is. It is. The John Sackrison the executive director of the Orange County Automobile New Dealer’s association, he and I did a preview podcast of the auto show. Geez. It’s probably a month or maybe a little bit further than that back. But it is the eighth. Orange County actually sells more cars. Orange County sells more new cars than I think he was telling me half the country, than 25 states. Clinton Quan: That’s quite impressive. Tom Smith: Sells more new cars than over … Or I think it’s right? 25 states if I’m remembering right. John if I got it wrong I apologize. But so this, it makes sense if this is the eighth largest auto show. Tom Smith: And as the Professor just pointed out it starts off the auto show season. And that auto show season it’s an exciting time. Right? Clinton Quan: Yeah, this is a preview of the 2019 automobiles. Tom Smith: And there was a couple of… Just getting to and from. I haven’t really gotten to enjoy the show. Although, my wife and son just got here. We are going to enjoy the show a little bit after we wrap up our final podcast here. But I’ve noticed a couple of prototype vehicles. Clinton Quan: Yeah, I guess you could call up prototypes. Yes. Tom Smith: What do you call them if it’s not a prototype? Clinton Quan: Well I guess some of them… Well, I guess you would call it a prototype. Some are just built for fun. Tom Smith: Concept cars. Yeah. That’s what I meant to say, concept cars. Clinton Quan: Oh okay. Concept. Yeah. Prototypes or concepts. Yes. Tom Smith: Yeah. The one-off kinda thing that, you know, the manufacturers do and they put out at the auto show as kind of a litmus test. Right? They see what kind of feedback they get on some of that stuff. Clinton Quan: They wanna engage customers an see what type of feedback they get if there’s… If they get positive feedback. It’s possibly something that they will produce or they might put some of those features in a production vehicle. Tom Smith: Exactly. Exactly. Exactly. It might not be the vehicle itself but some of the bits and pieces of it. Some of the features, as you say, some of the elements, some of the design specs and whatnot. What else about the show before we get into your top five of the Orange County International Auto Show? Clinton Quan: Well, and I think another interesting tidbit is this is actually the largest convention center on the west coast. Tom Smith: Bigger than Los Angeles? Clinton Quan: It is bigger than Los Angeles which a lot of people don’t know. Now the show itself, the amount of space that it utilizes, is not bigger than LA obviously. But the actual convention center space is bigger. Tom Smith: Interesting. It is a big, it is a big… Now is that like all under one roof that you’re talking about, or? Clinton Quan: I believe it is all under one roof. Tom Smith: Square footage under one roof kinda thing. Clinton Quan: I believe it is. Tom Smith: That makes sense. Clinton Quan: But there could be another building that I might not be aware of. But he majority of it is under one roof. Clinton Quan: That’s something they really promote. Yes. There’s, in total there are 150 vehicles. Clinton Quan: Yeah. Now some of those may be the same models but different trims. Tom Smith: Oh, even so, 150. Tom Smith: You wanna come here, you can stand in line, test drive all day long. Right? Tom Smith: And you get gifts. Tom Smith: The Professor and his swag. Clinton Quan: From gift cards, five to 10-dollar gift cards, caps mugs. Clinton Quan: When you do the test drives. Correct. Tom Smith: So, you not only get to drive a brand-new car but you get a gift with test drive. Clinton Quan: Correct. And no sales pressure whatsoever. Tom Smith: Well there you go. Tom Smith: Not a bad deal. Clinton Quan: Not a bad deal. Tom Smith: Alright. So, top five. Anything else? Clinton Quan: Yeah let’s move on to the top five. Tom Smith: Wait, wait, wait. Exotic real quick. I know the exotics are a big thing and I didn’t get to see. So didn’t get to see exotics at all. I can’t wait to go check them out. What are the highlights or overview of the exotics? Tom Smith: That just sounds cool. Clinton Quan: One. This one is one of 99 that was produced. It has a list price of over $800,000 dollars. Clinton Quan: Yeah. So that was definitely the highlight for me. But there’s a number of exotics. Tom Smith: Now what is that. Is that a family car? Is that a four-door, five-door? Clinton Quan: Oh, it is a… I would call it a grand touring luxury coupe. Tom Smith: That was a joke obviously. A family car. Clinton Quan: Well, they do make the Rapide which is a four-door which will seat four people very comfortably. Tom Smith: Anything else about the exotics before we go on to top five? Clinton Quan: Oh, there’s McLarens as well. Tom Smith: Hey man. You just got to go on that McLaren experience. You got to drop the McLaren name when you can – you know? Tom Smith: The Professor wants to keep on getting invited to cruise McLarens around LA. Clinton Quan: So, there’s quite a few exotics to check out here. Clinton Quan: Yeah. A big part of the show as well. Tom Smith: Okay. So, now we are on the meat and potatoes of this podcast here and that is the Professors top five pics of the Orange County International Auto Show. Now, let’s before we get into the top five, first, let’s identify what’s the criteria for these top five? Is it just top five anything? Clinton Quan: No. We’re not gonna do that. We’re gonna do top five. It has to be either an all-new vehicle or a redesigned vehicle with some significant changes. Tom Smith: Okay. So, in order to qualify it has to… In order to qualify for this top five list, it has to be all new or significant changes to a refresh. Tom Smith: Okay. And any other criteria before we get into it? Clinton Quan: That’s the criteria. Clinton Quan: We’ll start with number five and move all the way to number one. Tom Smith: So, they are in a particular order? Tom Smith: And these are the Professor‘s top five personal favorites. Clinton Quan: Personal five favorites and I’m also gonna pick a vehicle from different categories. So we’re gonna have a little bit of everything; something for everyone. Tom Smith: Okay. I’m on the edge of my seat as I’m sure everyone listening to this podcast is as well. Whether they are in traffic in Southern California, commuting to Switzerland by plane. Who are you waving to? Clinton Quan: He’s got a big smile. Clinton Quan: Coming out of the Tundra. Tom Smith: He’s a cute guy. He’s a cute guy. I love him. Clinton Quan: He’s very cute. Clinton Quan: Being my very favorite. Tom Smith: Favoritest, favoritest, most favoritest. Okay. Professor take it away. What’s number five? Clinton Quan: Number five is gonna be the 2019 Acura RDX which is one of the five vehicles I test drove. Tom Smith: To 2019 Acura RDX and that is a good plug. It’s one of the vehicles that the Professor test drove so that will be a podcast that you can listen to as well. And that doesn’t surprise me because you were quite enthusiastic about the aspects of that drive. Clinton Quan: Yeah. So, that’ll be my favorite crossover of the auto show. Tom Smith: Might have just heard my son fussing a little bit if anyone picked that up. I’m not sure. But it warms my heart if my son’s fussing little crying made it into the podcast. So that was number five. Is there anything in particular that you want to say about it or you wanna just move on to number four. Clinton Quan: Well this is an all-new vehicle; the third generation of the RDX. It features a two-liter inline four. So they switched from a V6 to a turbocharged four-cylinder cranking out 272 horsepower, 280 lb-ft of torque. Clinton Quan: And that’s in dealerships now. Tom Smith: In dealerships now. Okay. So, that is the 2019 Acura RDX. Number five on the Professor‘s list for the Orange County International Auto Show. Clinton Quan: Number four is gonna be the 2019 Volvo V60 Wagon. Clinton Quan: Yeah. Well, the V60 is a wagon. But I’m gonna say wagon because most people are probably not gonna know that a V60 is a wagon. Tom Smith: Okay. Now that’s number four is the 2019 Volvo V60 Wagon. Is that a refresh or is that a brand-new vehicle? Clinton Quan: Again, this is a completely brand-new vehicle. Tom Smith: Completely brand new. Clinton Quan: And it’s not in dealerships yet. Tom Smith: Completely brand new, not yet in dealerships. You know what? Real quick. The RDX. Should we throw price points in here or is that gonna be too much? Just the range. Just go with the range. So what’s the price range of the RDX? Clinton Quan: Oh, we can throw in the price points. The RDX starts… The base model’s around 37,000 then it goes up to about 47,000 top of the line with the all-wheel-drive Advance. Tom Smith: So then back to number four the 2019 Volvo V60 wagon. All-new vehicle. Clinton Quan: This is a completely all-new vehicle. Tom Smith: Okay what else… about that you wanna say? Clinton Quan: Oh, well I love all the new Volvo designs. Volvo’s got some really good looking product. Tom Smith: They’re on the scene a bit more it seems. Tom Smith: Starting to stretch their legs from that separation? Clinton Quan: Yeah. They’ve made some drastic changes and I think they realized if they really wanna compete against the top-tier luxury brands they gotta take it up a whole nother notch. Tom Smith: Yeah, Volvo’s safety go hand in hand. Clinton Quan: Associate safety with Volvo. Clinton Quan: So, this V60 it is a… You could call it a compact or a mid-size… It’s sort of between a compact and a midsize. It is a wagon. Clinton Quan: And when I was over there at the Volvo exhibit there was a gentleman. He was sitting in the back and he said he was so impressed with this new car as well. He’s a current owner of a Volvo. Clinton Quan: And it just looks absolutely fantastic. There’s very few wagons that’s available in the US market. Just because most consumers here in America they’re not big on wagons. They’re big on SUVs. But if I had a choice and if there were more wagons out there, I would take a wagon over an SUV it’s more fun to drive for sure. Tom Smith: I mean that’s a personal thing though. But also so many SUVs lately kind of, especially the longer ones when they’re making them a little bit longer to throw a third row there. So many of the SUVs kinda look like wagons that are up a little bit higher. So, I don’t know. There’s a definite trends to vehicle designs that our culture embraces. And I’ll bet that it’ll take a few wagon hits and all of the sudden everybody will start putting out wagons again. And maybe this V60 Volvo is one of those that kinda sparks the renewed interest in wagons. We’ll see. Clinton Quan: They’re definitely very popular in Europe. Tom Smith: Okay. So what’s the price point range about this the 2019 Volvo V60 wagon? Tom Smith: We don’t know it yet because it’s not in dealerships, right? Clinton Quan: I don’t know if pricing has been announced but I believe it’ll start around 39,000. Clinton Quan: That’s my estimate if it hasn’t been announced yet. Clinton Quan: And it’ll come in two different engines. The more powerful one will be a supercharged and turbocharged four-cylinder that’s gonna crank out 316 horsepower and 295 lb-ft of torque. Tom Smith: So, a supercharged and turbocharged? Clinton Quan: Yeah. And I’m pretty sure they’re the only manufacturer that makes an engine that is both supercharged and turbocharged and that’s why it cranks out. Tom Smith: I’m sorry say that again. I’m sorry the GTR presentation just kicked on again and it’s… I think they kicked up their volume a little bit. So say that again. Tom Smith: Supercharged and turbocharged. Clinton Quan: I’m pretty sure they’re the only manufacturer that makes an engine that is both supercharged and turbocharged. Tom Smith: Yeah. I’ve never heard of that before. Clinton Quan: Yeah. Unless it’s a one-off company or some custom automaker, a customized vehicle. Tom Smith: Okay. So, have all the trim levels and have they specified trim levels for it yet? Clinton Quan: Oh, the trim levels would be, let’s see. There’s Momentum. There’s the R design which is the sportier one and then you’ve got the Inscription the top of the line, the luxury version. 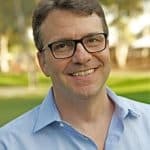 Tom Smith: Okay and pricing, uncertain? Clinton Quan: I believe it’ll start somewhere around 39,000. Tom Smith: Okay and in probably for each trim level up maybe we’re talking about up to a 15, 16,000 swing to get to the top line. I’m completely reaching. I don’t know. Clinton Quan: I don’t think it would be that much. Tom Smith: You think it’ll be less? Clinton Quan: Yeah. I imagine to the top of the line it could be maybe 8,000. Clinton Quan: That’s just a guess though. We’ll see. Tom Smith: Yeah. Total guess. Nobody write that in stone. We’re completely guessing. All manufacturers do it a little bit differently. Okay so, number five was the 2019 Acura RDX, in dealerships now. Number four was the 2019 Volvo V60 wagon. Not yet in dealerships due out when? Clinton Quan: That’s a good question. I don’t know. Tom Smith: Okay. What’s number three? Clinton Quan: Maybe early next year if I were to guess. Number three is gonna be another vehicle I test drove. And that’s the Mazda, the 2019 Miata RF which stands for retractable fastback. So, this one is not an all-new vehicle but it is a redesign and what significant about the redesign is the engine. So, it’s got more horsepower. Up to 181 horsepower. Tom Smith: Okay. So, we’ve already posted that podcast. The Professor‘s test drive of the 2019 Mazda Miata RF, retractable fastback. And now when we did that, I need to clarify something. Because you should go listen to it for sure and check out he pics. ‘Cause that’s a cool looking car. Tom Smith: Yeah. Yeah so, a Targa top is basically when you take a two-door car and… I’ve never seen a target top with a four-door car. But you take a two-door car and the roof completely removes, you still have roof structure behind the back, if there is a backseat. You still have roof structure. So, it’s just basically like a square or rectangle piece of the roof completely comes out. And it’s cool because it gives the care a different dimension. It almost looks like, as I was mentioning to Professor and Alpha, Alpha Romeo. When the roof is on because actually, I got pictures of the 2019 Mazda Miata RF with the roof off. And those are the pictures that you’re going to see on that podcast post. But now this last day of the show they actually have the roof on and it’s really cool because it gives the car a different dynamic. But as we were talking in that podcast, it’s a great car for a single person or a couple that want to have… ‘Cause there’s no back seat. But it’s a great little fun weekend car. A little wind-ey road kinda thing. And sorry Professor I’m stealing your thunder on this one. But I like the car. I like it a lot. It’s a cool one. Clinton Quan: It’s a really fun car. Tom Smith: Yeah, so it’s a Targa top though to be clear, not a convertible. So, what else about the 2019 Mazda Miata RF if I haven’t’ already ruined it all for you. Clinton Quan: I think you’ve covered it all. Tom Smith: Ruined it all. Clinton Quan: No. No. You didn’t ruin anything for me. It’s a really fun car to drive. A great weekend car. Great for singles or couples. Tom Smith: And it could be an everyday driver if somebody wanted. Clinton Quan: It could be yes. Tom Smith: But you’re not gonna get a lot of groceries in it. You’re not gonna, you know, you’re definitely not going to Home Depot with it. Clinton Quan: Yeah. You could get a couple grocery bags in there. I saw the trunk. Tom Smith: Yeah. But you’re not going to Costco. Tom Smith: You’re going to have that as only your weekend car. Clinton Quan: Probably not going to be driving that. Tom Smith: Okay. So, what about pricing on that. And that is in dealers now? Clinton Quan: Yes. As we mentioned in the podcast, there’s two trims. There’s their Club and then there’s the Grand Touring. The Club’s around $32,000 and the Grand Touring is about $33,000. Tom Smith: Yeah, that was one where there’s only a thousand dollars price difference. Clinton Quan: Yeah. It was a very minimal price differential. Tom Smith: Yeah. Hardly notice that in the paying right? Okay and we’re ready for number 2. Clinton Quan: We’re ready for number two. Tom Smith: Okay so back to number five though. 2019 Acura RDX in dealerships now. Number four, 2019 Volvo V60 wagon, not yet in dealerships. Coming, we’re assuming early 2019. Number three 2019 Mazda Miata RF in dealerships now. Clinton Quan: Number 2 is also another vehicle that we won’t be seeing in dealerships for some time. Probably won’t come out until maybe the middle of next year. And again this’ll be as different vehicle. This is an electric vehicle. So there’s been a lot of talk about electric vehicles. Tom Smith: Oh, I know. I know what you’re gonna say. Clinton Quan: And I want a Audi e-tron. And Audi doesn’t really have what I would say a true midsize SUV. This one is definitely a true midsize SUV. It measures approximately 193 inches in length. So, it’s right between the Q5 and the Q7. And this is I think the best looking electric vehicle out there. Definitely the best looking electric crossover. Tom Smith: Now, but to be clear, they don’t even have that for… They have one here but you’re not test driving it. Clinton Quan: Oh, yeah. You cannot test drive this. Tom Smith: Is that gonna be a ‘19 or is that gonna be a ‘20 by the time it comes out. Clinton Quan: They might even call it a 2020. Yeah. Tom Smith: ‘Cause they always get a little delayed you know? Whatever. Build the suspense, whatever. Clinton Quan: Yes, that’s correct. Tom Smith: So, they’re calling it a 2019 right now. But our guess here and you heard it here on iDriveSoCal first our guess is that by the time it comes out they’ll be calling it a 2020. But maybe they’ll call it a 2019. Who knows? Clinton Quan: Pricing will start around $75,000. Clinton Quan: Oh, it’s a great… If you love the Audi designs right now, the Q5 and the Q7 you’re gonna love this car. Tom Smith: And it does look good. Clinton Quan: Proper proportions. Very clean lines. Beautiful technologically advanced futuristic looking interior as well. Tom Smith: Probably has a digital dash and everything. Clinton Quan: Yeah. That virtual dash. Correct. Tom Smith: Did they have the car or could you get inside it or do that have it behind… ? Clinton Quan: You cannot get inside it but they will open the doors so you can see the interior. Tom Smith: Okay. And you checked it out? Clinton Quan: Yeah. I checked it out. Yeah. I like how also that it has that center staff, center stack that’s angled towards the driver, very driver focused. 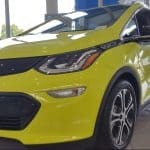 Tom Smith: Do we even know, is this the vehicle that’s gonna be rolling into showrooms or is this potentially something that they might tweak a little bit before they produce it? Clinton Quan: That’s a good question. Tom Smith: We don’t know. Clinton Quan: Good question. I don’t know. I can’t say for certain. Tom Smith: Okay. Alright. So the number two is the 2019 Audi e-tron electric. You said that’s gonna be starting at $75k. Clinton Quan: Approximately $75 thousand. Clinton Quan: I believe that’s for the Premium Plus. So, there’s probably going to be a prestige for those of you who are Audi Fanatics like me there’s usually a Premium, Premium Plus, and Prestige. But with this one, I think it starts off with the premium plus. Tom Smith: Okay so $75,000 and then swing up to $90? Again we’re guessing completely. Clinton Quan: Prestige probably $80 or a little bit over $80. Okay. Tom Smith: Yes. And Bernadette’s holding my son. Tom Smith: You look good. Okay. So, number five is the 2019 Acura RDX. Number four is the 2019 Volvo V60 wagon, number three 2019 Mazda Miata RF and number two on the Professor‘s list, best of list. Professor‘s best of list. That’s what we’ll call it. Of the Orange County International Auto show, number two is the 2019 Audi e-tron all electric coming out of Audi. Number one Professor, drum roll please. Clinton Quan: Number one will be the 2019 Audi RS5. The Sportback. Tom Smith: I laugh because you just mentioned being an Audi fanatic. And now you have Audi as your number one and number two best of show. Clinton Quan: Oh, so I can’t begin to tell you how excited I am about this car. This is a car that has it all. Tom Smith: Okay so the RS5. The RS in Audi world. In RD. In RD. in Audi when you … They either have the S which comes out all the time. Right? Tom Smith: But then the RS, is when they really dance it up. Clinton Quan: Yeah. So there’s only certain models that have an RS. Tom Smith: And they don’t do it every year right? Clinton Quan: That is correct. Tom Smith: So, the RS. When you see an RS on an Audi, it’s special. Clinton Quan: It’s really special. Tom Smith: And it’s sporty. Tom Smith: And you don’t want to test it because as far… Test it by means of race it because it’s got plenty. If it’s got an RS it’s got plenty going on under the hood. Clinton Quan: The RS designation would be a competitor to the BMW M vehicle and the Mercedes AMGs. Tom Smith: The Sportback okay. And more detail about that. The RS, is this the first time they’re doing the RS? Clinton Quan: This is the first RS Sportback back ever in the US. Clinton Quan: There has been an RS5 coupe. Tom Smith: Okay. But they’ve never had a RS5 Sportback? Clinton Quan: Well this is the first time they’ve had a Sportback of the A5 the S5 or the RS5 ever in the US. And what is significant is this is the first time they are launching this vehicle in the US before any other market in the world. Clinton Quan: Yeah. That’s how significant it is. Tom Smith: Why is that? Do you know? Clinton Quan: I think it’s because there has been such a tremendous interest in the A5 and the S5 sport back. Clinton Quan: I know I’ve read that sales have really skyrocketed. Tom Smith: Audi’s been doing well. In the united states overall. Clinton Quan: Oh yeah. They’ve had something like over 100 consecutive months of increased sales compared year to year, month to month. Clinton Quan: And it is a stunner. Absolutely gorgeous car. In terms of design, it really doesn’t get any better than this. Clinton Quan: Beautiful, beautiful curves, clean lines, proper proportions. Tom Smith: This is a midsize car? Clinton Quan: This would be I would say a compact. Clinton Quan: Think of it as the coupe version of the RS5 and that’s a compact coupe. Tom Smith: Coupe version of the RS5. I thought it was a sedan. Clinton Quan: It is a sedan but the RS… Initially, when they came out with the A5, the S5 and the RS5 it was a coupe. Then, they made a four-door version. Just like when BMW came out with the four series. That was a two dour version of the three series. Then they came out with the four serious grand coupe A. So they added two additional doors. Tom Smith: Okay. Okay. So, what is… Are there going to be different trims? The RS is the RS. Clinton Quan: I believe with the RS it’s just the top line prestige. I don’t know. Yeah. But the pricing has been announced. I think it’ll start around $75,000. Tom Smith: What do you think it’ll top out at? Clinton Quan: With all the options with German cars I’m sure you could easily add another $20k to $25,000 in options. Tom Smith: That’s a better reflection of my guessing of what I’ve been guessing as far as starting price to top-of-the-line price. Clinton Quan: And then, being an RS there could be dealer markups as well I’m sure in the very beginning. Tom Smith: Oh, yeah. Where the car is in such high demand the dealer’s like, well I get more money for it because there’s very few of them. Clinton Quan: High demand, limited numbers. Tom Smith: Yeah. Yeah. Very few of them and those are the cars that, you know, hey. You can get and have a daily driver or you get and you kind of drive it from time to time. You hang on to it and that car appreciates. Tom Smith: Okay so the… What else about anything else about the 2019 Audi RS5. Is that in dealerships now or when is it going to be? Clinton Quan: No. No. It’s not in dealerships yet. It will be, I believe maybe the beginning of next year. Clinton Quan: It has a 2.9-liter V6 turbocharged engine that cranks out 444 horsepower and 443 lb-ft of torque. So it’s on the smaller side of the V6 engines. A 2.9-liter. Tom Smith: Is there an option for rear wheel drive or all-wheel drive or is it just all-wheel drive? Clinton Quan: No, it’s just all-wheel drive. It’s Quattro yeah. Being an RS it would come standard with the Quattro system and that’s what Audi is known for. Clinton Quan: Their all-wheel-drive vehicles. OC Auto Show – Something for Everyone! Tom Smith: Alright. Professor well this has a rather long podcast for us. But that’s cool because there’s a lot to cover and we’ve had a lot of fun here at the Orange County International Auto Show. I’d like to thank them for having us out a couple of times and we look forward to future coverage of the OC International Auto Show. I certainly hope that in the future I get to maybe do a test drive or two. Maybe. I don’t know. We’ll see. Clinton Quan: Yeah. We’ll see. Tom Smith: Anything else to add Professor? Clinton Quan: Just wanted to mention there’s something on the list for everyone. There’s an SUV, there’s a Wagon, a sports car and an eclectic vehicle. There’s a sports sedan or you could call it a fastback / sportback. Tom Smith: Good call Professor. The only thing we don’t have is like an off-road truck or something. Tom Smith: Alright well fantastic. Professor Quan, thank you so much for helping me to cover the Orange County International Auto Show, brought to everyone in partnership with the good people at motor trend. 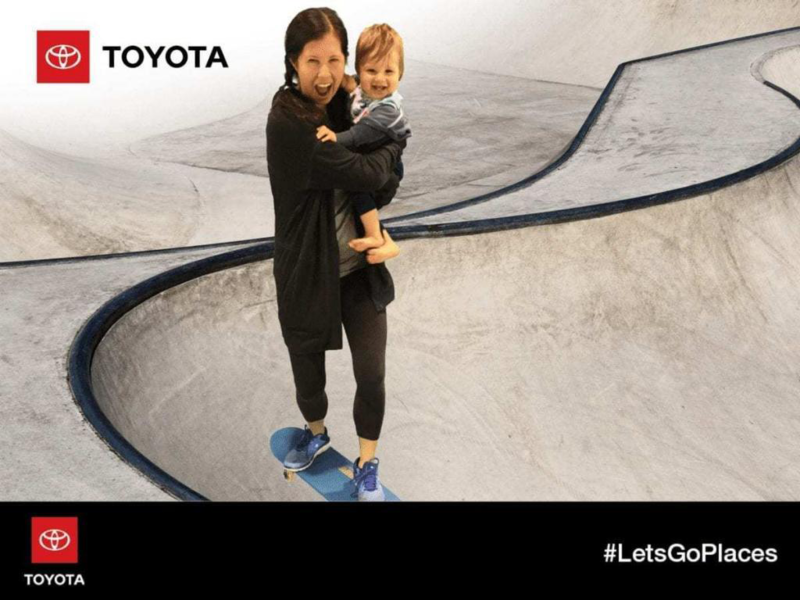 They help put a fun spin on the overall experience. Unless you have any. You good? Tom Smith: Alright. I’m good too. So, for iDriveSoCal, I am Tom Smith. Thank you so much for tuning in. We will talk with you again very soon. See ya.